Being Balanced In a Stressed-Out World STRESS. It can ruin a day. Strain a relationship. Wreak havoc on a body. Even kill you, if left unchecked. And yet, in today’s round-the-clock world, it seems to take up SO MUCH SPACE in our daily lives. But what if it DIDN’T? If you could learn the tools and strategies to SHIFT your FOCUS and live HAPPIER, HEALTHIER, and more STRESS-FREE? What would that mean for you? Your family? Your career? FIND OUT in this life-affirming presentation. 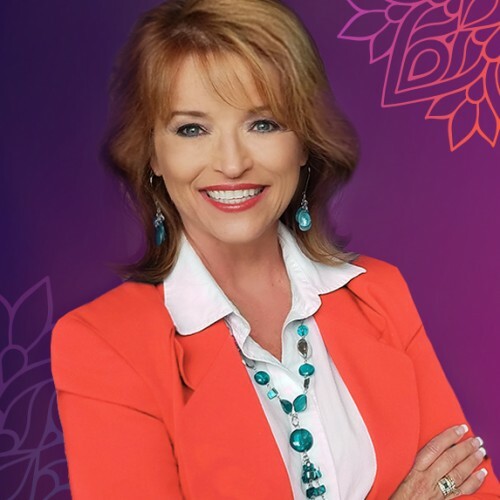 Invite Keynote Speaker Susan Young to give your team the hands-on, how-to insights and solutions for sending STRESS on its way and leave MOTIVATED, INSPIRED, JOYFUL people in its wake! Learning Objectives •	Define emotional RESILIENCY and UNDERSTAND its implications •	DECODE the good, bad and ugly of stress itself •	Get CLEAR using Mental Models •	Win with the Wheel of Life Balancing Tool •	POWER up your POSITIVITY •	Measure your PERSONAL RESILIENCE •	IDENTIFY how different personality styles react and respond to stress •	DEPLOY the Five Factor Stress Model •	Invoke your TRUE GRIT and MENTAL TOUGHNESS •	POSITIVELY ENGAGE your belief system (and identify what helps and hurts you) •	Activate 10 POWERFUL ways to BREAK THROUGH self-doubt and fear •	Move from WOE to WOW! with positive self-talk •	Use LEARNED OPTIMISM to shift negative, cynical attitudes into hope and happiness •	Unleash the POWER OF NOW! •	Use GRATITUDE to put problems into PERSPECTIVE •	DE-STRESS your mind, body and spirit •	Make a PLAN and Take a STAND •	INFUSE humor to DIFFUSE anger, angst and apprehension •	How to STOP WORRYING & START LIVING •	ADOPT 30 strategies to RELAX, RENEW, & RE-CHARGE •	EMPOWER your mindset with positive AFFIRMATIONS to flip the negativity switch •	ACHIEVE that elusive WORK/LIFE BALANCE with real-world strategies What if you could CLEAR AWAY the STRESS that bogs down productivity, creates tension, kills creativity and creates disconnects in relationships? What would that mean not only for the success of your organization, but the quality of your life? Don’t wait to find out. Call Susan Young to get answers NOW!